We women are so different from one another. While some would prefer vanilla latte(like me) , some would want to have black coffee. With makeup, it is totally the same formula. Some would want to have full makeup in their collection. 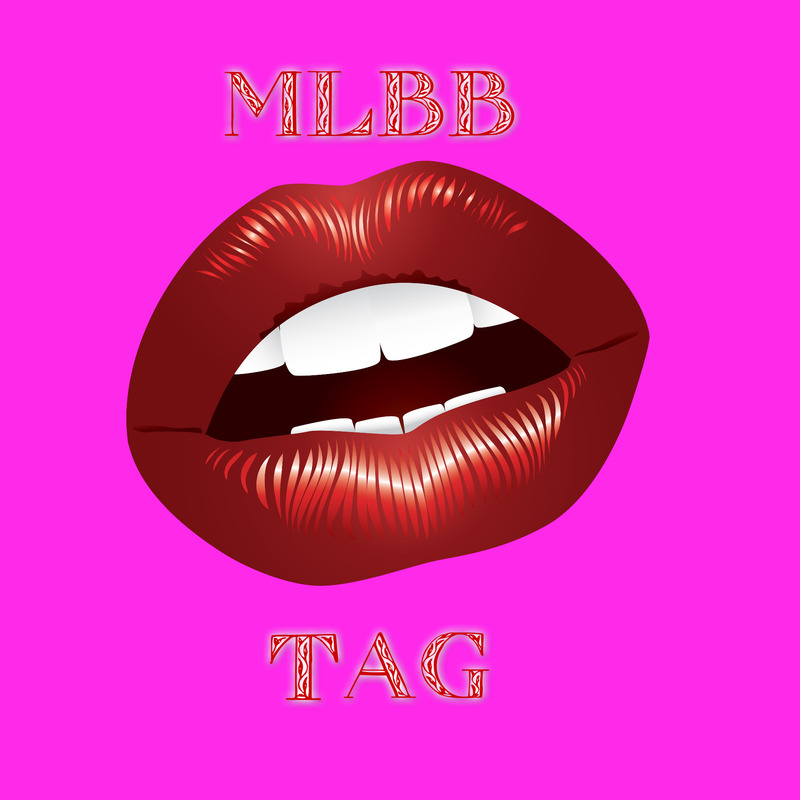 would apply almost each and every item and go through the hassles of blending the colors of eyeshadows to getting the right amount of highlighter and bronzer while some would rather stay away from all of them and prefer having eyeliner , blush and a lip gloss only. Then there are those who knows that makeup runs in their blood and are sure that’s what they are going to live for LOL (exaggeration but I’m sure you know what I mean). But every girl has to go through the dilemma of deciding which beauty product should be in her makeup kit , as a beginner. With many friends and acquaintances seeking help on this topic , I decided to give my share of advice or suggestion. you wouldn’t want to spend on something you never know how it would turn out to be. you might want something then realize that you don’t really need that after purchasing. the lesser products , the easier to learn and master your skills on them. So we have all the good reasons to keep it very less. 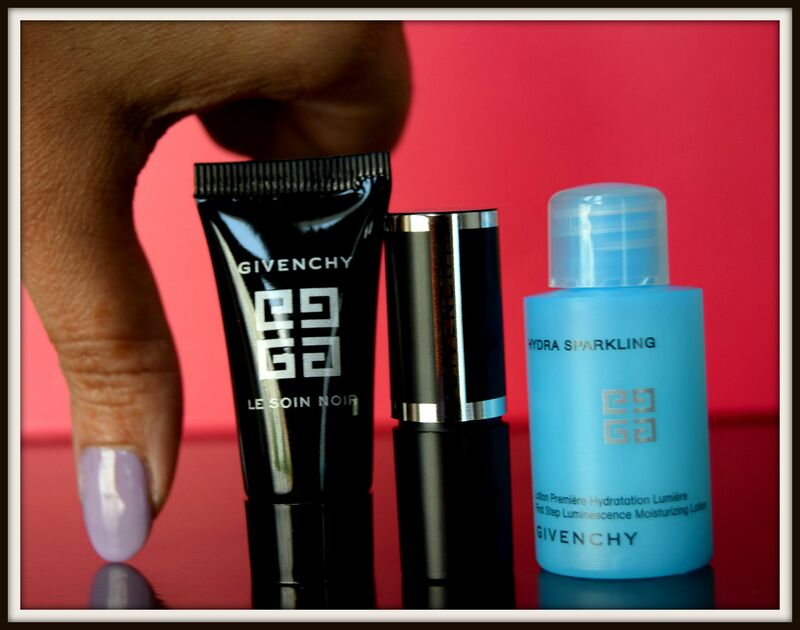 a lipstick or lip gloss- If you are wise ,get both the items for the price of one. 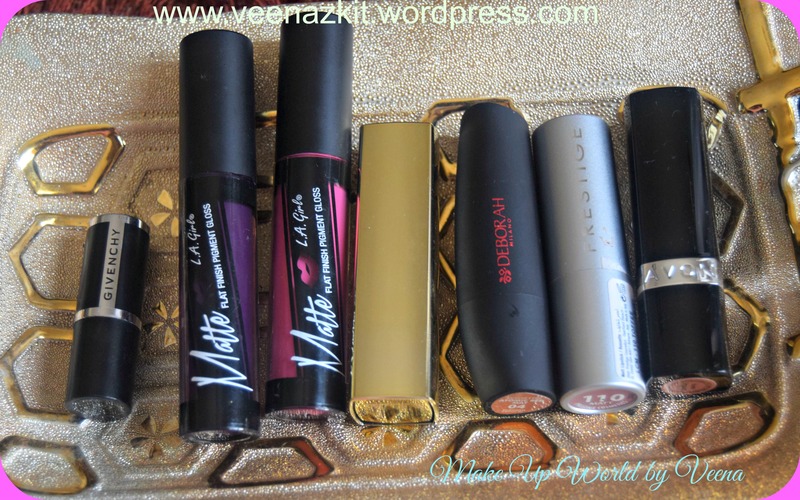 Check out which dual lip gloss I am rocking at the moment, here . bb cream- applying foundation is a skill. I suggest getting yourself BB cream as it is easy to work with , no trick needed to apply that and not much of problem with shade. Once you are familiar applying this, go ahead and get your choice of foundation. You seriously do not need a face primer even as a pro, let alone beginner. (that’s another issue I’m going to touch later). Prep your skin before applying your makeup by applying moisturizer, it will work as primer and keep your makeup there all day long. Use your fingers to apply this and you are done. 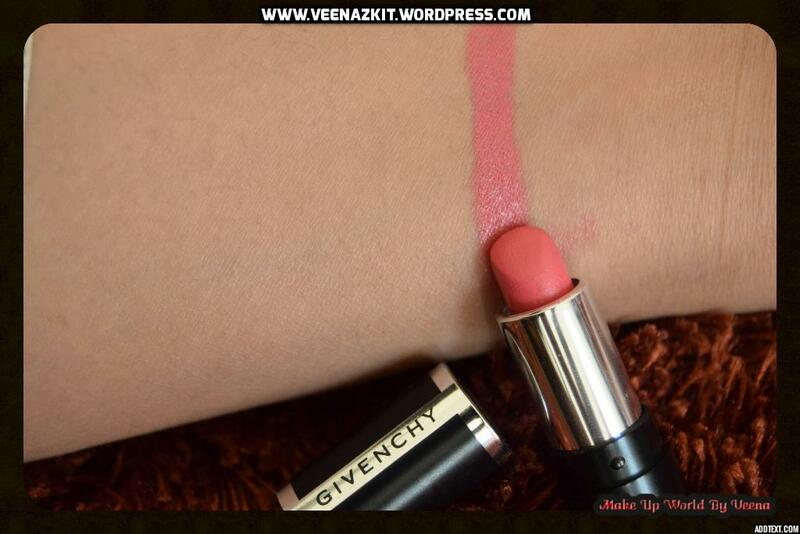 blush- Do no get carried away and buy a lot of colors. 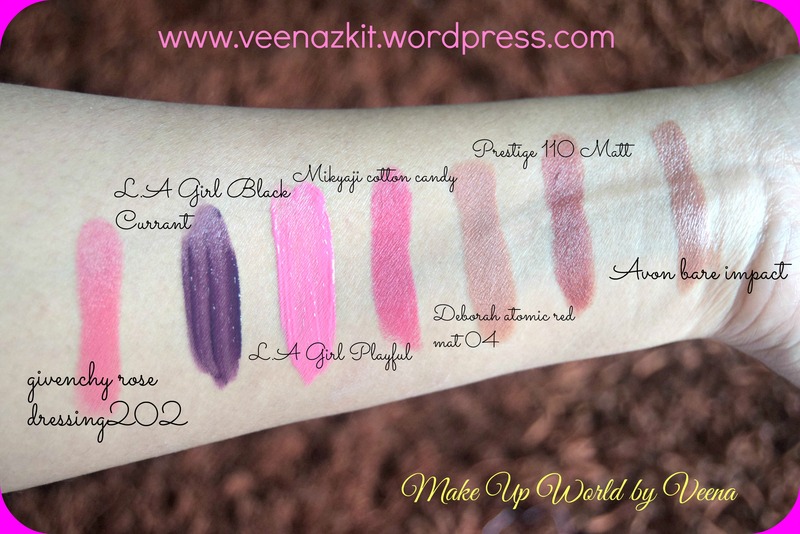 Choose a shade you think you’d like and good for everyday wear whether day or night. eyeshadow brush- Get yourself one eyeshadow brush and one blending brush. mascara- Mascara is very important and shouldn’t be miss no matter what. Even if you are going for a makeup-free look, I suggest apply mascara in that case too. It helps eyes pop open and give it more wider/awakening look. eyeliner- No matter how we love gel liners as we see those perfect cat winged eyes, hold your excitement and get yourself pencil eyeliner for now. Anyway you wouldn’t be jumping on to creating that cat wing as a beginner, right? So make life easy and use pencil for now. concealer- A must have. you will need this to cover obvious imperfections as your BB cream might not do the job of covering everything. pressed powder- You need a powder to set your BB cream, for that choose one that suits your skin type. powder brush – to be used for blush and powder if you are using loose powder. angled brush- to give your eyebrows that perfect shape. spooly- my favorite brush to tame my brows before outlining them. Hope you enjoyed looking at my beginner’s kit. What’s yours? Do you think I missed anything? My July Glambox- A total disappointment! Want to know how disappointed I am with my July Glambox? The fact that I didn’t even feel like writing about it surely gives you the idea. But I can’t just let this go “un-said” ! Glambox had come up with “themed” boxes for the months of May, June and July. The themes seemed really interesting and so was the reason I subscribed once again(despite the fact that I swore not to after last year’s experience),just to be disappointed again. 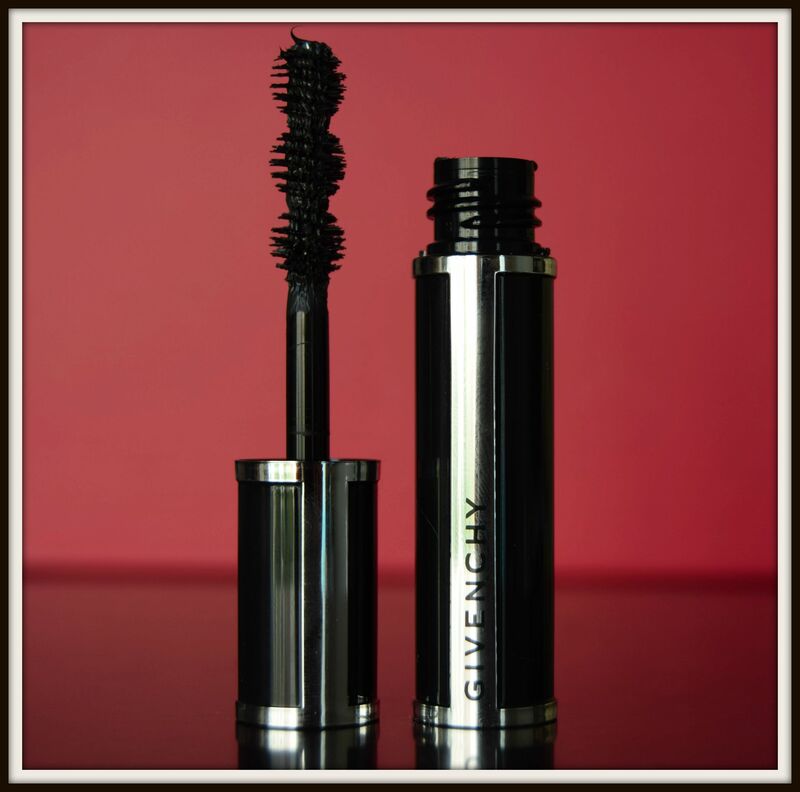 July theme was all about Givenchy’s partnership with Glambox. 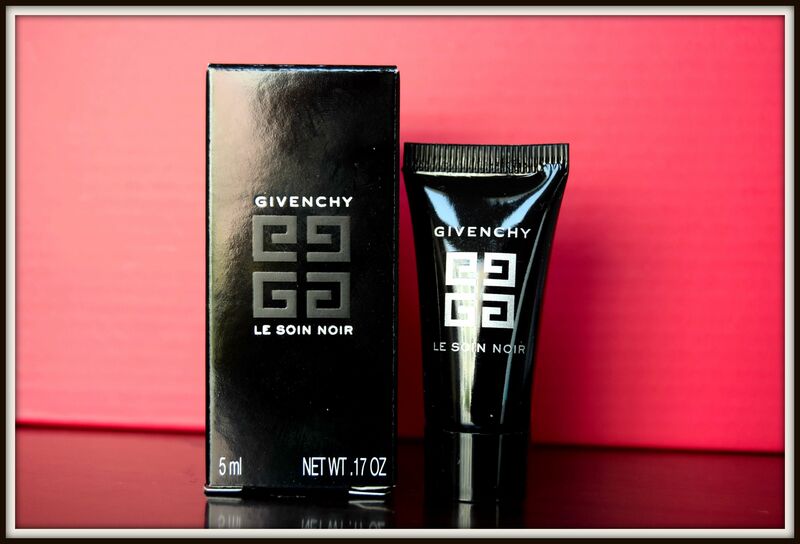 Exclusive box with luxury products from Givenchy. This was too oomphy to hear. So I subscribed! The box was delivered on a Friday and in U.A.E it is supposed to be off for all offices, so I was excited as a kid saying “my oh my, Glambox really went our of their way to make us feel special by delivering on an off day!” The box contained 4 thumb-sized products! I started calculating how much I paid instead of opening the goodies. I paid aed205 for 3 months for something not worthy at all. The first box was stuffed with Bioderma products ,some samples and 2 full-sized which was acceptable for me. 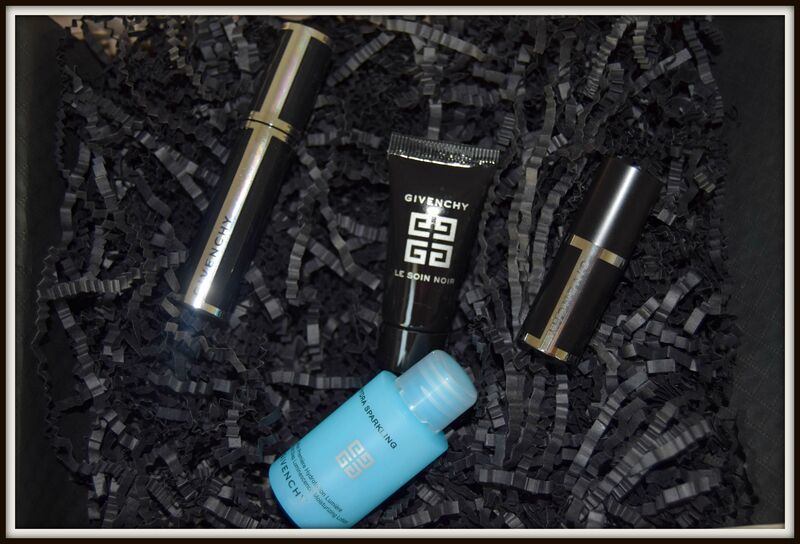 The June box also had 4 products with only 1 full size and that too a black nail polish which was a total turn off. Now July box came with stuff I can easily get at Sephora as samples!! 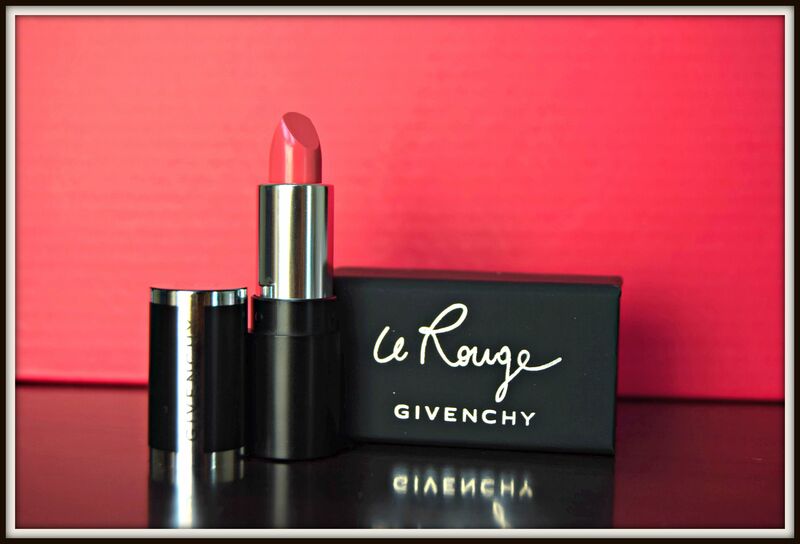 One of the items in the box is Givenchy lipstick which I already got as a sample the last time I shopped at Sephora, I loved it and so I talked about it here. I know I liked that lipstick but it doesn’t mean I’m going to pay to get another sample of that. 1. 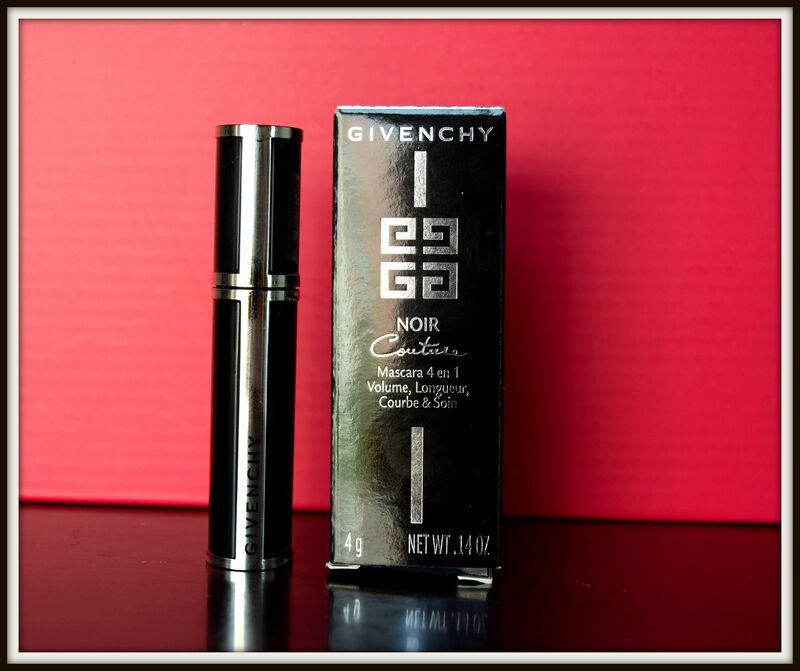 Givenchy Noir Cotoure 4in1mascara: What I can admire about this product is just the packaging! Don’t think I am just hating it because it is sample size. LOL I tried it as I always was curious what difference do these high-end brands make that make them so costly. The weird wand with kind of 3 bubbles/circles is very useless. The space between them is even more useless. The formula is clumpy. Every time I pull out the wand,I get this product right on the tip of the wand and I need to swipe it to remove excess which I find weird as I never had such experience with other brands. I might just use it for the lash care qualities, using my technique to create volume and length. This is an anti-ageing product. Haven’t use it yet so can’t really tell how it is for now. .4. 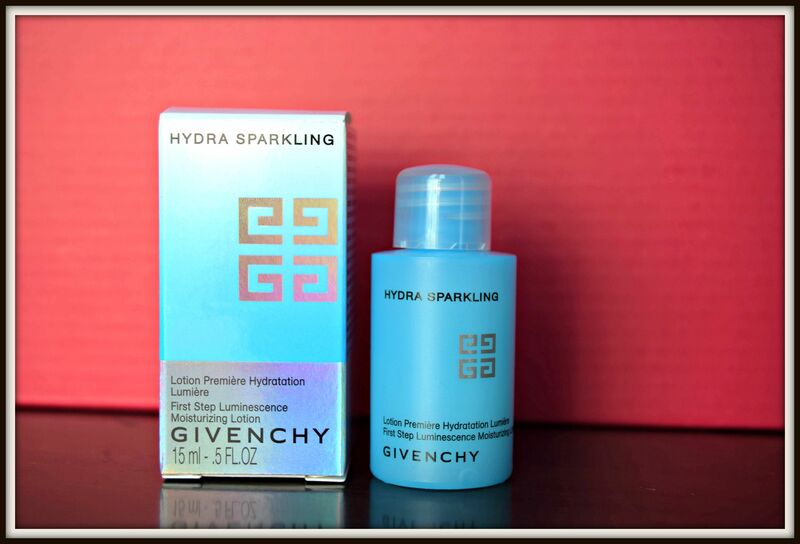 Givenchy hydra sparkling first step luminescence moisturizing lotion– I tried this one once. It is not greasy at all,keeps skin hydrated and has a very refreshing smell. I hope this sample size would be good enough for me to judge the product’s performance. So these are all the goodies I received from Glambox that was a total disappointment and today ,again I’ll make a promise never to subscribe again.